Twelve cases of Vault-Tec's most bizarre vault experiments. During the final years of the Resource Wars, as tensions rose between the United States and, well, pretty much the rest of the world but especially China and the Soviet Union, the U.S. government commissioned Vault-Tec to build a system of underground complexes to safeguard a portion of the American population in case of nuclear war. Originally called Project Safehouse, the purpose of the vaults was officially to increase the chances of American survival should the worst happen. Unofficially, however, Vault-Tec executives and researchers had other, more sinister plans. Project Safehouse broke ground in 2054 with the first “proof of concept” vault built under Los Angeles. Other vaults were built in scattered locations throughout the United States, with 122 eventually constructed. By 2063 the project was finished, with the exception of Vaults 13 and 112, which were completed by 2074, three years before the Great War. Vault population was highly selective. Space was at a premium, so a typical vault could only house 1,000 total inhabitants. However, due partly to the frequency of false attack alarms and drills, and (as we shall see) Vault-Tec's own ulterior motives, many of the vaults were sealed with far fewer than their intended populations on October 23, 2077. The people who entered the vaults naturally expected to be safe and secure, hidden away from the horrors of nuclear war and its aftermath. With a few exceptions, they were all the unwitting victims of diabolical and sadistic experiments. Vault 0 - This vault housed the best scientific and military minds of pre-war America. It was also intended to monitor and control other vaults, keeping watch over the various vault experiments. 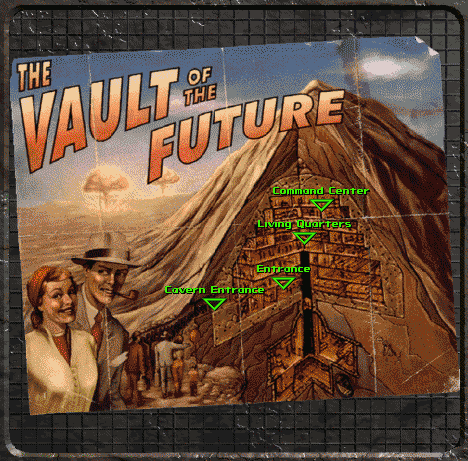 Vault 0 did not “house” its inhabitants in any traditional sense -- instead, their brains were extracted surgically and kept cryogenically frozen and hooked up to a giant supercomputer called the Calculator, while an army of robots kept the systems running. Vault 3 - This “control vault” opened 20 years after the Great War, but its inhabitants kept it closed longer. However, they were eventually forced out into the wastes by an unplanned water leak. They hoped to trade with the locals and rebuild society; instead, they were slaughtered by a gang of raiders called the Fiends, who then took over Vault 3 and used it as their base. Vault 11 - This vault was a massive social experiment wherein the inhabitants were required to select one person to sacrifice every year. They were told that unless they did this, everyone in the vault would be killed. The experiment continued until there were only five original inhabitants left, who all refused to continue rather than choose. At this point, the survivors were told the true nature of the experiment - that sacrifice had never, in fact, been required, and they were “shining examples of humanity”. In my opinion, this is without any doubt, the cruelest of all vault experiments. Vault 12 - Designed to study the effects of radiation on the selected population, this vault never actually sealed its door. Radiation leaked into the vault's interior, and many of the inhabitants became ghouls. 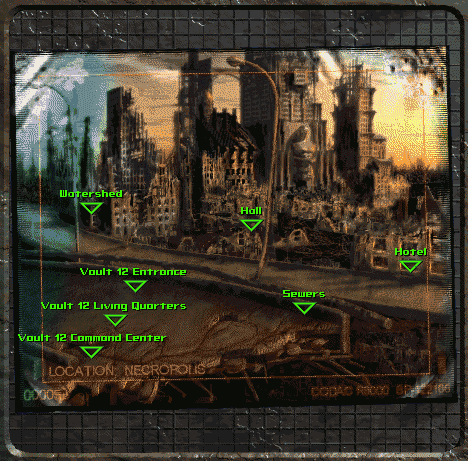 The city of Necropolis was founded by the ghoul survivors of Vault 12. Content ©2014-2019 Fallout Facts. All rights reserved.